Jacki has been at the forefront of immersive-world technology since 1990, focusing her early research on affective and meaningful implementations of virtual environments. She received her PhD on this topic from SMARTLab (UEL) in 2008. She was also an early adopter of the online 3D world Second Life, and as a resident of that virtual world has been an innovative creator of content and functionality. Jacki produced one of Second Life’s first international art showcases, ‘The New West’, in 2006. She next created the artwork ‘Remembrance and Remains in Second Life’, which features a small Iraqi village, populated by autonomous villagers, to show the more human face of that war-torn country. She is developing and adapting health applications within virtual worlds to assist with stress alleviation/innoculation. Working with experts in Mindfulness-based Stress Reduction, she has adapted this proven technique for Second Life and is now holding classes ‘in-world’. She has also pioneered other techniques, such as deep breathing to control avatar jogging, and using narrative psychology to help victims of trauma ‘rewrite’ their life stories in a positive light. Jacki also works with AI experts to involve intelligent agents (as avatars) for many helpful purposes in the virtual world. This work can be seen at www.cominghomecenter.org. As a SMARTlab researcher, she also investigates online-world topics such as space, embodiment, identity and play, writing papers and book chapters that have been accepted and delivered at conferences worldwide. The youngest of 3 children, Mae Jamison was born in Decatur, Alabama on October 17, 1956. Her family moved to Chicago when Mae was only three, and it was there that an uncle introduced her to the world of science. At a very early age, Mae developed interests in anthropology, archaeology, and astronomy that she pursued throughout her childhood. 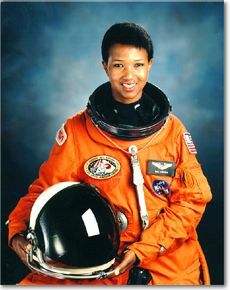 Mae Jemison enrolled at Stanford University at the age of 16 and in 1977 graduated with degrees in both chemical engineering and Afro-American studies. She received a Doctor of Medicine degree from Cornell University in 1981. Dr. Jemison has practiced medicine as a volunteer in a Cambodian refugee camp and as a medical officer with the Peace Corps in West Africa. She was working as a general practitioner in Los Angeles, California when NASA selected her and 14 others for astronaut training. Dr. Jemison completed her training as a mission specialist with NASA in 1988. 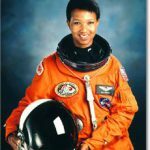 In September of 1992, as a mission specialist aboard the Shuttle Endeavour, Mae Jemison became the first African-American woman to enter space. In 1993, Dr. Jemison resigned from NASA and founded the Jemison Group, Inc. Among her current projects are several that focus on improving healthcare in Africa and advancing technology in developing countries. 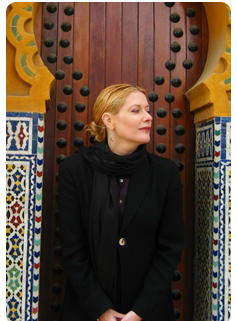 Gayil Nalls is an American interdisciplinary artist and theorist, based in New York. She earned a Ph.D. from the University of East London. She has held various research affiliations with SMARTlab and is currently an associate adjunct professor at University College of Dublin. 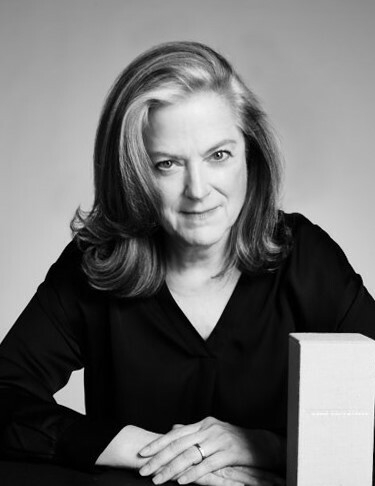 Nalls has a special interest in the biological, psychological and cultural experiences of olfaction and is best known for her world olfactory sculpture, World Sensorium. Nalls’ artwork is represented in major museum collections and is exhibited internationally. Her investigations unite various fields and disciplines in pursuit of forming new methods of understanding, both intellectual and emotional. Nalls writes regularly for Nautilus Magazine and Psychology Today. 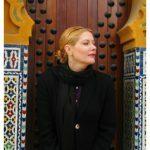 Recent book publications include her essays in “The Politics of Perfumed Objects” in “For the deeper meaning: Fragrance as medium in art, design and communication” (Germany, Spielbein Publishers), 2016 and “TOXIC: Coming to Our Senses” in “Paradise Paradoxe” (Zurich, Edition Patrick Frey, 2016). 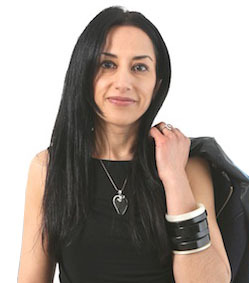 Lizbeth is Professor of Inclusive Design for Education and Chair of Creative Technology Innovation at University College Dublin, where she is an Executive Board member of the Innovation Academy. She was nominated to Chair the Royal Irish Academy Social Sciences Committee in 2012. Lizbeth founded the SMARTlab in its first iteration in 1993 at the BBC, and has developed the award-winning practice-based PhD Programme through the institute, along with the associated MAGIC Multimedia and Games Innovation Centre and Gamelab, which Lizbeth designed with industry collaborators as a prime knowledge transfer space in the London docklands. Lizbeth and her teams specialise in developing ground-up technology solutions for people of all levels of cognitive and physical ability, from mainstream learners of all ages to ‘special’ and ‘gifted’ learners and lifelong learners in the developed and developing worlds. In all her work, she applies a universal design method to practice-based innovation to transform lives through providing unlimited access to education and tools for creative expression. Prior to joining UCD, Lizbeth was Director of Research for Futurelab Education, directing Lord David Puttnam’s research and production teams to establish innovative platforms for the future of education in a context of global change. She is known as an expert in Digital Inclusion, including learning models for communities at risk. She is an award-winning advocate of community-based ethical learning and teaching models using interactive tools and games to inspire and engage learners of all ages. 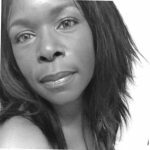 She specialises in working with people who do not have physical voices (whether due to disability, injury, illiteracy, or other social/political factors), enabling the use of new creative technologies for expression vocally, in writing, and with movement and music. In 2003 she won the Lifetime Achievement Award for Volunteer Service to Women and Children, awarded live in Times Square NY. In 2008 she was selected to the two top prizes from industry by the Blackberry Rim Innovation Awards team: Outstanding Woman in Academia and Public Sphere, and Top Woman in Technology. In 2015 she was named one of the World’s Top 50 Social Entrepreneurs. Professor Feely is Vice President for Research, Innovation and Impact and a Professor of Electronic Engineering at University College Dublin. She leads a research group in nonlinear circuits and has been awarded research grants and prizes from a number of national, international and industry sources. Professor Feely is a Member of the Royal Irish Academy and a Fellow of the IEEE (Institute of Electrical and Electronics Engineers), Engineers Ireland and the Irish Academy of Engineering. She has served as Chair of the Irish Research Council and of the IEEE Technical Committee on Nonlinear Circuits and Systems, and as a member of a number of Editorial Boards. She is a director of the Young Scientist and Technology Exhibition. 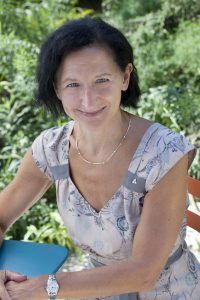 She is Chair of the EU Horizon 2020 Advisory Group on Marie Sklodowska Curie Actions and is also a member of the Higher Education Authority. 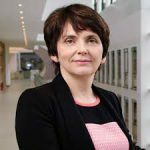 Prof Feely is a Science Foundation Ireland – funded Principal Investigator and she works with numerous collaborators, including Analog Devices and Alcatel Lucent in Ireland and a variety of international enterprises. Prof Feely also has an interest in the related fields of MEMS (microelectromechanical systems, which integrate tiny mechanical elements with electronics), power electronics, phase locked loops and data converters. Her work provides fundamental insight into the behaviour of such systems and suggests improved designs to improve their performance. 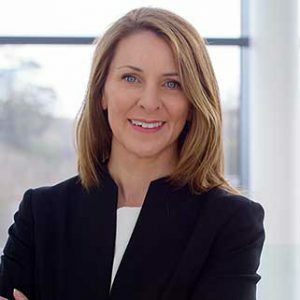 Julie Sinnamon is CEO of Enterprise Ireland, a government agency responsible for the growth of Irish-owned businesses in global markets. Prior to her appointment to CEO in November 2013, Julie held a number of senior public sector positions, spanning a 30 year career in Enterprise Ireland and IDA Ireland. Julie has considerable experience in a variety of industry sectors, most notably the food sector, where she has worked directly with some of Ireland’s best-known food brands, from their originating idea, right through to globally trading multi-national food businesses. Julie is a member of the Board and Investment Committee of Enterprise Ireland. She has managed Enterprise Ireland’s commercial evaluation division and Enterprise Ireland’s equity portfolio, one of the largest equity portfolios in Europe, in terms of deal flow. In 2015, Julie was appointed to the Investment Committee of the Irish Strategic Investment Fund, part of the National Treasury Management Agency, by the Minister for Finance, Michael Noonan. She has been recently appointed to the National Competitiveness Council. She is also a Board Member of the Social Entrepreneurs Ireland and Young Scientist & Technology Exhibition Limited. Julie’s driving ambition is for Irish-owned industry to become a powerhouse of job creation in Ireland, resulting in rising prosperity in towns and cities all across Ireland. In pursuit of this objective, Julie is mobilising all Enterprise Ireland resources and harnessing the power of external stakeholders and partners, into a cohesive effort to build more Irish companies of international scale. Professor Suzanne McDonough is a Professor of Health and Rehabilitation at Ulster University and a co-investigator in the UKCRC Centre of Excellence for Public Health (Northern Ireland). Suzanne obtained her undergraduate degree in physiotherapy at University College Dublin (UCD) in 1989; was awarded her PhD in neurophysiology from Newcastle University, UK, in 1995; and a higher diploma in healthcare (acupuncture) in 2002 from UCD. Professor McDonough is recognised internationally as a leading expert in the development and evaluation of interventions to promote rehabilitation in clinical populations (mainly painful conditions but also following stroke and older adults). She is particularly interested in the use of technology to actively support patients in their rehabilitation, as well as to promote general health and wellbeing. Examples of technology she has developed and tested in clinical trials are: computer games for rehabilitation following stroke; pedometers as motivational tools to promote walking in clinical populations e.g. chronic low back pain; and the development of mobile phone apps to support clinicians and patients to self-manage their rehabilitation. She has published widely in her area of expertise (over 80 peer reviewed papers and an H-index=24); and has obtained funding from a variety of prestigious external agencies. Professor Minhua Eunice Ma is the Dean of School of Computing and Digital Technologies at Staffordshire University and Professor of Computer Games Technology. She is also a Governor and Trustee of Wakefield College in West Yorkshire. Professor Ma joined Staffordshire University in May 2017. Previously she was Associate Dean of the School of Art, Design and Architecture at University of Huddersfield. 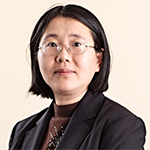 Professor Ma obtained her MSc in Computer Science from Newcastle University and PhD in Computer Science from Ulster University, and worked there as a Post-Doctoral Research Fellow on virtual reality games. She joined University of Derby as a Senior Lecturer in Computer Games Modelling and Animation in 2007 and was promoted to Reader in 2009. She was the Head of Academic Programmes at the Glasgow School of Art since 2010 and became a Professor of Computer Games Technology in 2013. Professor Ma is a world-leading academic developing the emerging field of serious games. 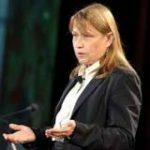 She has published widely in the fields of serious games for education, medicine and healthcare, Virtual and Augmented Reality and Natural Language Processing, in over 100 peer-reviewed publications, including 9 books on serious games with Springer. 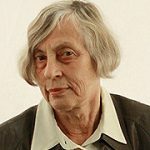 Eunice has received grants from RCUK, EU, NHS, NESTA, UK government, charities and a variety of other sources for her research on VR and serious games for stroke rehabilitation, cystic fibrosis, autism, medical education, cultural heritage, Holocaust education and preventing gender-based violence. She is the Editor-in-Chief responsible for the Serious Games section of the Elsevier journal Entertainment Computing. She is the Founding Chair of the Joint Conference on Serious Games (JCSG), which has been running for eight years in Derby (2010), Lisbon (2011), Bremen (2012), Trondheim (2013), Berlin (2014), Huddersfield (2015), Brisbane (2016) and Valencia (2017). Deepa Mann-Kler is a multi-disciplinary artist, primarily working in neon and creating light installations. Her practice also includes painting, drawing and photography. Mann-Kler explores concepts of belonging and identity by creating artwork that is deeply rooted in the communities surrounding her. Through this process she reveals her fears, hopes, joy and love in brutally honest work that strives to connect with society at an insistently individual and humane level, where the personal becomes political. Deepa Mann-Kler has exhibited internationally in solo and group exhibitions in China, America, Germany and Ireland. In 2016 neon dogs formed part of Lumiere London in Coutts, run by Artichoke. In 2014 she was a recipient of the Creative Industries Innovation Fund awarded by the Arts Council of Northern Ireland. In 2013 her neon work Teenage Kicks and dogs were part of Lumiere, run by Artichoke and commissioned by Derry/Londonderry UK City of Culture as their closing public art festival; in the same year she also won Brilliant, run by Artichoke and was also awarded the Individual Artist Award by the Culture Company. From 2011 to 2013 she was artist-in-residence with the Belfast playwright Martin Lynch. In 1984 she won the Olympus & Daily Mirror Young Photographer of the Year. Mann-Kler lives and works in Killyleagh, County Down, Northern Ireland. Dr. Sara Diamond is the President of OCAD University, Canada’s “university of the imagination”. She holds a PhD in Computing, Information Technology and Engineering from SMARTlab London, a Masters in Digital Media and Honours Bachelors of Arts in History and Communications. Diamond is an internationally celebrated data visualization, wearable technology, mobile media researcher, media artist, designer and historian. She is an appointee of the Order of Ontario and the Royal Canadian Academy of Artists and a recipient of the Queen’s Diamond Jubilee Medal for service to Canada. She is the winner of the 2013 GRAND NCE Digital Media Pioneer Award. Diamond served on the 2011-2012 Council of the Canadian Academies’ expert panel on the State of Science & Technology in Canada. She founded the Mobile Experience Innovation Centre; was co-principal investigator of the Centre for Information Visualization/Data Driven Design; theme leader for Data Visualization for iCity which focused on Big Data and transportation, is a member of the BRAIN Alliance, in visual analytics. She has held funding from the Social Science and Humanities Research Council, Canada Foundation for Innovation, MITACS, the National Sciences and Engineering Research Council, Ontario Centres for Excellence and the Canada Council for the Arts. Since her appointment in 2005 she has led OCAD University’s evolution to a full university, helping to build its transdisciplinary and research-creation research capacity and infrastructure, integrate STEM subjects, create its Digital Futures Initiative, launch the Indigenous Visual Culture Program, strengthen its approach to inclusion, and grow its undergraduate and graduate programs. Before her tenure at OCAD University she was Artistic Director and Executive Producer of Media and Visual Art, Executive Director of Research at The Banff Centre (1992 – 2005), founder of the Banff International Curatorial Institute and founded and led the Banff New Media Institute, a digital media research centre, incubator and think tank. Daria Dorosh, is a co-founding member of A.I.R. Gallery, integrates traditional art with new media, fashion, and technology. Her exhibitions, Plays Well with Others (2004) and The Changing Room (2007) were collaborative multimedia installations with guest participants from diverse fields. 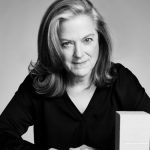 After 36-years as a fashion design professor at the Fashion Institute of Technology, NY, she became a researcher with SMARTlab, UK, and completed her PhD thesis, Patterning: the Informatics of Art and Fashion in 2007. Fashion is a rich repository of social, historic, and personal information, which she integrates into her art practice and explores through her company, Fashion Lab in Process. In 2011 she received ArtTable’s 30th Anniversary Artist Honors Award for work that goes beyond studio practice, and her 2011 interview by Paddy Johnson, Concerns from The Second Economy: Daria Dorosh on the Baby Boomer’s Relationship to Technology and Art, is posted on the Art Fag City blog. She is active in the arts and in environmental groups in the Upper Delaware River Valley, NY, where she has her studio. Her 20th one-person exhibition, DEEP Play: imaginary realms and comfort objects for grown-ups, (October 2012) showed digital prints and portable textile sculpture for grown ups. Cassandra Collins is passionate about building connections between design, cultural insights and human behavior. With over 20 years in video game, entertainment and technology, she believes to build great design solutions we need to first understand and focus on people, their inspirations, human behaviors and interactions. Through creative strategy, insights and inspirations this leads to creating engaging, intuitive and personal experiences and products. As a Lead UX Architect at Microsoft, she provides design insights, strategy, and leads in product execution. She has a broad and deep knowledge of Inclusive Design, Human/User Centered Design and User Research by mapping customer’s business problems to extensible and usable experience in applications across different platforms and Microsoft’s operating systems, including Windows Productivity Suite, Windows Phone, and Xbox. Nina Czegledy, artist, curator, educator, works internationally on collaborative art, science and technology projects. The paradigm shifts in arts and science education and practice as well as the changing perception of the human body and its environment inform her projects. 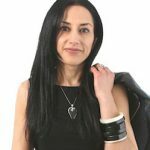 She has exhibited and published widely, won awards for her artwork and has instigated, lead and participated in workshops, forums and festivals worldwide. Czegledy has initiated and convened over 20 academic education workshops at international conferences. 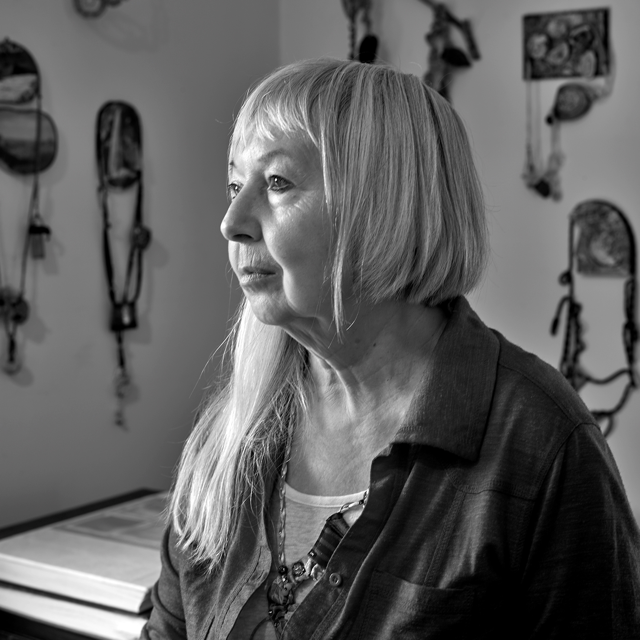 Her current curatorial project: SPLICE, At the Intersection of Art and Medicine was exhibited in Vancouver (2012), Toronto (2012) and New York (2013). Current collaborative art projects: The Visual Collider touring project, with Marcus Neustetter, South Africa, exhibited in 10 countries on three continents between 2010–2012; Aura, Aurora an audio-visual installation with Bettina Schuelke, Laszlo Kiss was shown at Machfeld Studio Gallery, Vienna (2012), artMuse Festival, Bocholt (2011), Plein Air festival (2010), Budapest. Czegledy is a Senior Fellow, KMDI, University of Toronto; Associate Adjunct Professor Concordia University, Montreal; Senior Fellow, Hungarian University of Fine Arts, Budapest; member of the Leonardo/ISAST Governing Board; International Research Fellow, Intercreate org, New Zealand; Co-organizer of the biannual Solar Circuit Aotearoa New Zealand (SCANZ); Board Member of Subtle Technologies, Toronto, and Year01, Toronto; and contributing editor to Leonardo Electronic Almanac . Madeleine Lowery is a Professor in the School of Electrical and Electronic Engineering, University College Dublin. Her research is focused on using engineering methods to understand the human nervous system as it relates to movement, in health and disease, and to design therapies and technologies to improve impaired motor function. She leads an interdisciplinary research team in the area of Neuromuscular Systems and Neural Engineering. 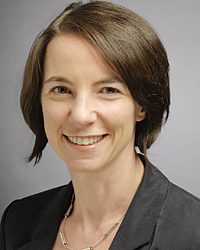 Her research interests include electromyography, bioelectromagnetics, myoelectric control of artificial limbs, electrical stimulation, deep brain stimulation and neural control of movement. Between 2000 and 2005, Dr Lowery was a Postdoctoral Fellow then Research Assistant Professor at the Rehabilitation Institute of Chicago and the Department of Physical Medicine and Rehabilitation, Northwestern University. She received the B.E. and Ph.D. degrees from the Department of Electronic and Electrical Engineering, University College Dublin, in 1996 and 2000, respectively. She is a member of the IEEE and a member of the Council of the International Society of Electrophysiology and Kinesiology (ISEK). She is a Funded Investigator in the SFI Insight Centre for Data Analytics and the CURAM Centre for Research in Medical Devices. In January 2015 she was awarded a Consolidator grant by the European Research Council. As Manager of Female Entrepreneurship, Johnston manages Enterprise Ireland’s key initiatives to support Female Entrepreneurs. These initiatives are part of a drive to boost the number of innovative, export-oriented businesses being set up and led by female entrepreneurs. Johnson has worked for Enterprise Ireland since 1995 in various roles, which include Regional Development, Commercial Evaluation and, most recently, as Senior Development Advisor with the High Potential Start up Team. She holds a Bachelor of Business (Hons) Degree and a MBS from Liverpool John Moores University. With 20 years of experience working with indigenous companies across multiple sectors Johnson has significant experience in strategic mentoring, financial analysis, operational strategy and business plan implementation. Dr. Susan Jeffords joined the University of Washington Bothell in September of 2007 as Vice Chancellor for Academic Affairs where she serves as the chief academic officer and is responsible for advancing the academic and scholarly life of the campus. 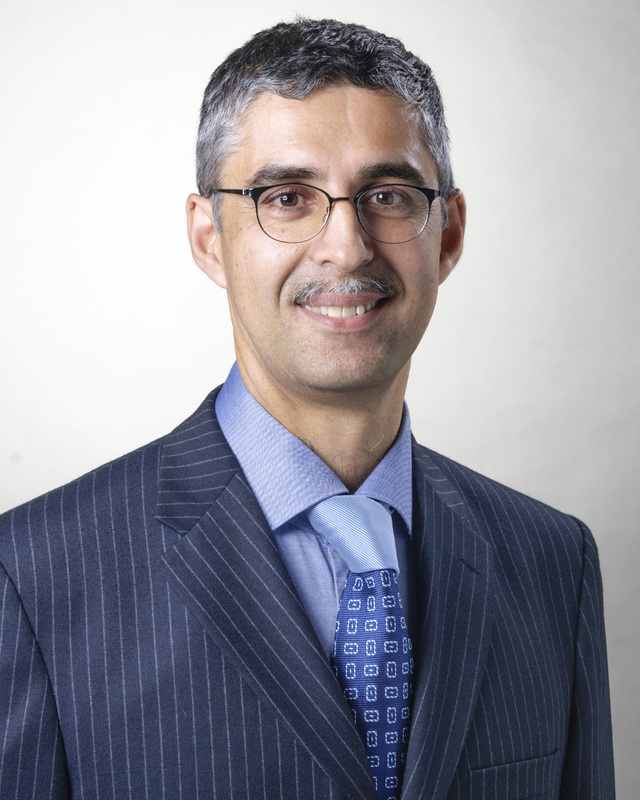 As Vice Chancellor, Jeffords oversees academic programs, the Teaching and Learning Center, Information Technologies, the Division of Enrollment Management and Admissions, Student Affairs, the Offices of Research Support and Institutional Research. Jeffords instigated strategic planning that resulted in the 21st Century Campus Initiative, University of Washington Bothell Priorities Plan 2008-2020. The plan has guided growth in academic programs across the campus, including 20 new degree programs with eight in Science, Technology, Engineering and Mathematics (STEM) fields. In 2013, a new School of STEM was established, uniting the Computing and Software Systems Program and the Science and Technology Program to support the increasing collaborations among faculty, staff and students. Previously Dr. Jeffords held the position of Vice Provost for Global Affairs for the University of Washington Seattle. Jeffords served as a faculty member of the English Department before becoming Chair of the Women Studies Department in 1992. In 1995, Jeffords was appointed Divisional Dean for the Social Sciences where she oversaw thirteen departments and supported the development of new interdisciplinary research centers and degree programs. In addition, Jeffords has led delegations abroad in community-university strategic partnerships and was appointed by the UW president as the Chair of the International Task Force in 1995, which resulted in a university-wide report on the UW’s international expertise and current activities. Jeffords also serves on numerous boards that reflect the region’s strong international interests. Jeffords has written and taught broadly in the area of American popular culture, with a particular emphasis on Hollywood film, the Vietnam War, and feminism. She is particularly committed to increasing opportunities for more diverse and underrepresented communities to participate actively in higher education, including expanding opportunities for international engagement. Intellectual property from his research has been licensed to eight separate research groups and companies in Ireland, UK, Belgium, US, Canada and Singapore. He has been lead PI on some €8m of competitively won research funding and two of his former students have established start-up technology companies. He holds a Visiting Professorship at the University of Ottawa and has previously been a Visiting Professor at CNRS & ENSAM-Paris (2003-4). He has supervised 35 research students (Masters, PhDs and Postdocs) to date and has published some 150 journal articles. He is Ireland’s representative to the General Assembly of IUTAM, the International Union for Theoretical & Applied Mechanics. He is solely responsible for teaching a core Stage 1 module to all UCD Engineering students, Engineering Mechanics, and an elective Stage 4 advanced module, Polymer Processing & Composites. He has received institutional and national awards for his teaching excellence, and various international Best Paper awards for his scholarly research. responsible for research management and operations across the Institution. Prior to joining UCD, Triona was Director of Consulting for Ireland and European Practice Leader for Organisational Effectiveness at Hudson Highland. She worked extensively with organisations in the US, Europe, UK and Ireland across a broad range of sectors from utilities to financial services. Engineering at Case Western Reserve University, Cleveland, Ohio.